Piero Dorazio studied architecutre in Rome around the same time abstract works were first being executed. In 1947 he received a scholarship from the Ecole nationale supérieure des Beaux Arts in Paris, where he contacted Modern artists, who lived in Paris. He founded the galleries "Age d'Or" in Florence and Rome to diffuse avant-garde arts in Italy. During a one year stay in the USA he got acquainted with leading characters of Abstract Expressionism like Marc Rothko, Robert Motherwell and Barnett Newman. At that time he also intensively studied Kandinsky's essays, whose theory of the immaterial aspects in painting influenced him strongly. 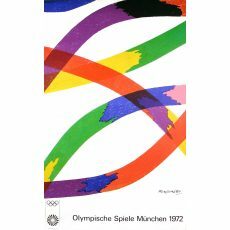 In 1959 Piero Dorazio participated in the "documenta II" in Kassel. Afterwards he accepted a teaching position at the University of Pennsylvania, where Piero Dorazio founded the Institute of Contemporary Art in 1963 and was appointed professor in 1968. 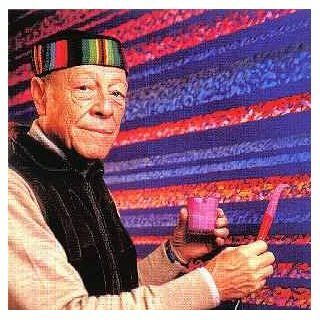 In the 1960's the first compositions of ink ribbons were executed in his studio in New York, which dominated his work henceforth. After his return to Italy Dorazio moved to the former romanic cloister of Todi in Umbria. Piero Dorazio was regarded up to great age as one of the leading Italian artists of concrete colour painting. Piero Dorazio died at the age of 77 in Perugia on 17 May 2005.